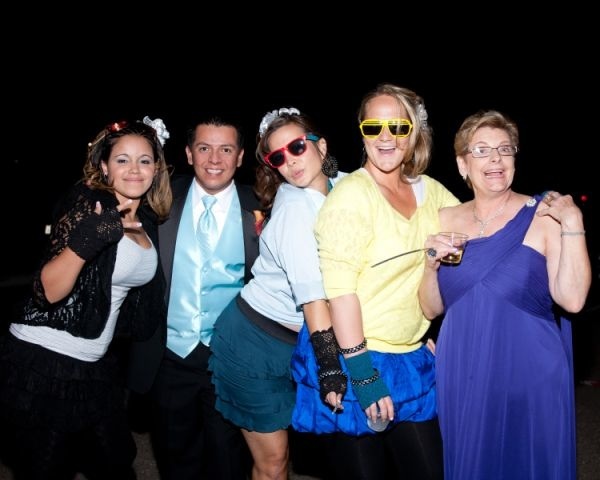 This morning we're sharing some photos from newlywed Meredith's autumn wedding, whose unabashed nostalgia for her 80's childhood was the highlight of the reception. 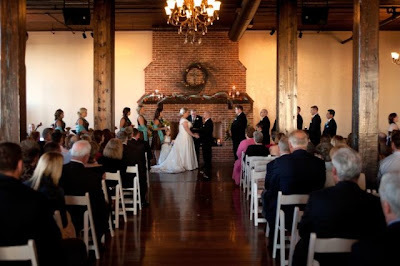 Since the ceremony was held in a very open and large room, the minister, (who also happened to be the groom's grandfather) asked Eric lower his head so he would not see Meredith from afar. Her favorite moment was the look on his face when he raised his head and saw her for the first time! 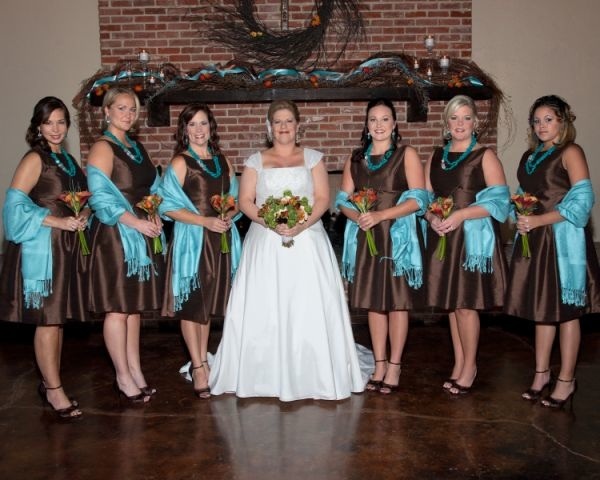 Meredith's bridesmaids wore Alfred Sung's D448 in the color Brownie. 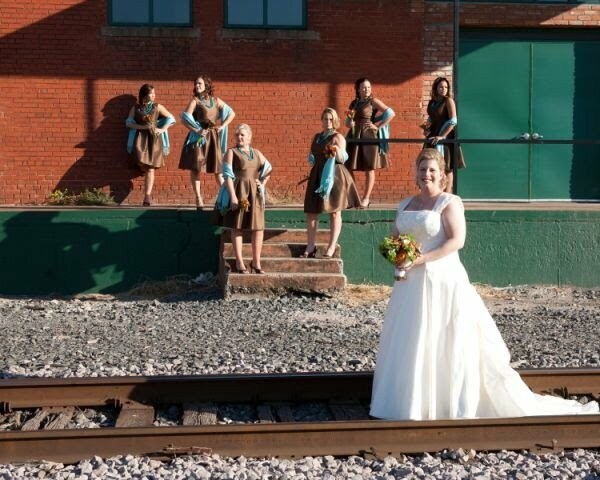 She said that her favorite part of wedding planning was putting the bridesmaids' look together. 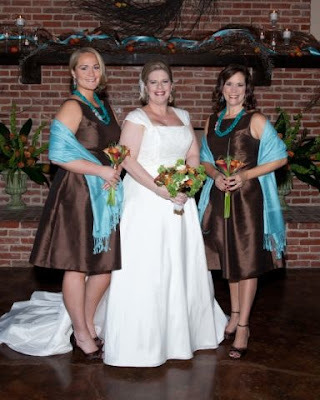 With a particular vision in mind, "the dresses were PERFECT", and she actually hand-made the teal blue necklaces! As a child of the 80's, Meredith made sure that music was reflected on the dance floor. Her bridesmaids had picked up some "vintage" clothing and accessories, and mid-way through the reception, they unveiled a wardrobe change and surprised Meredith during her favorite 80's tune! We also really appreciate the kind words Meredith shared about Joielle. "Working with you guys was probably the easiest part of the wedding planning. THANK YOU for that." Thank you Meredith for giving us a glimpse of your special day. The bright personalities of you and your bridesmaids really shine through!